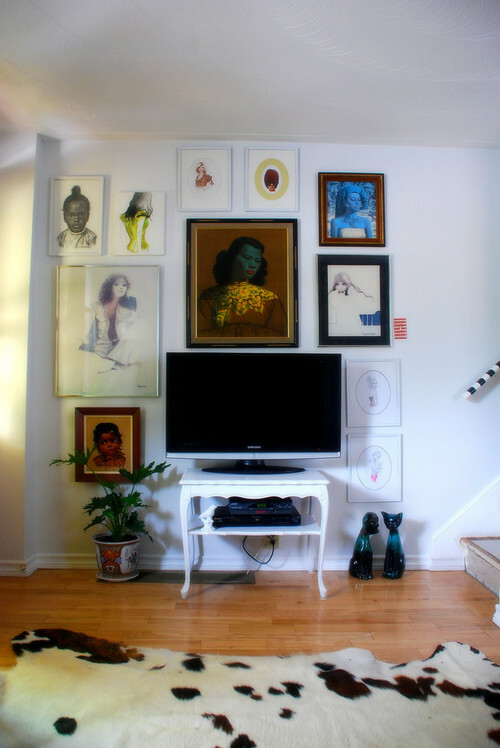 It’s not uncommon to see people who have a lot of art who don’t know how to hang it. Yes, the art is beautiful, but the way in which it is hung detracts from both the art and its surroundings. 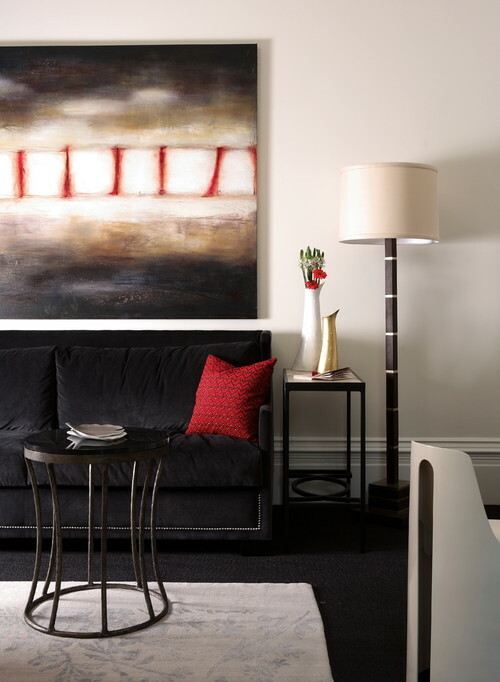 So for those at a loss of how to get the most visual impact from their art, we are offering a few simple rules to obtain a striking, curated look in your home. Follow them, and you’ll be met with oohs and ahhs everytime guests come to visit. 1) Aim to have a painting occupy two-thirds to three-quarters of a wall. Large walls occupied by postage-stamp sized pieces result in art that loses its potential impact. 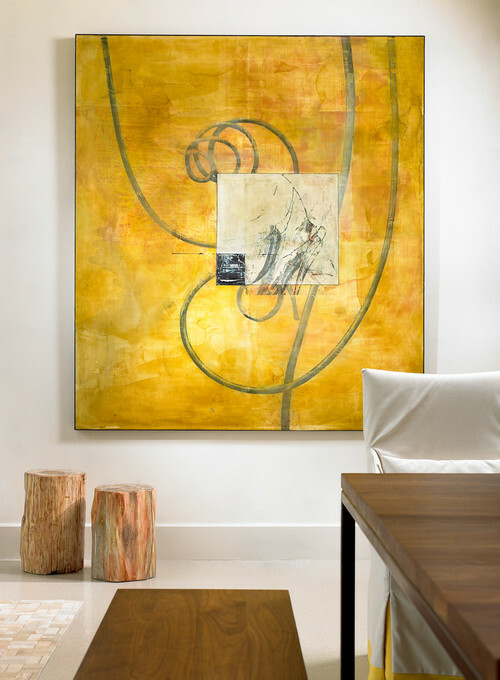 If you favor abstract and contemporary art, large is especially alluring. 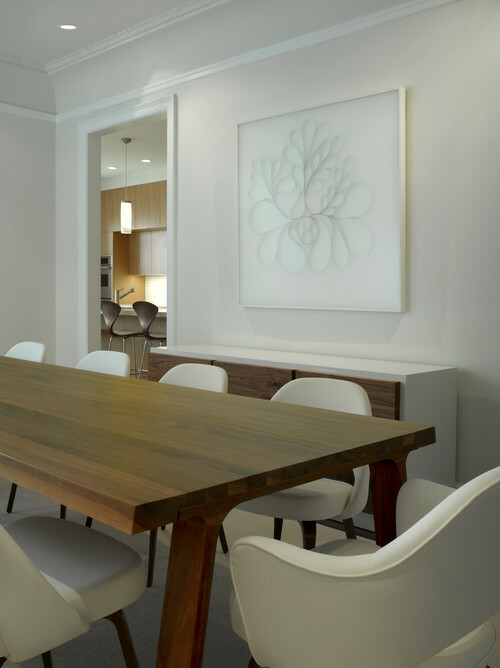 Below, a large painting is tremendously powerful in a dining room. 2) Keep your art centered at eye level. Keeping the art at this height makes it easier for the viewer to appreciate the painting. 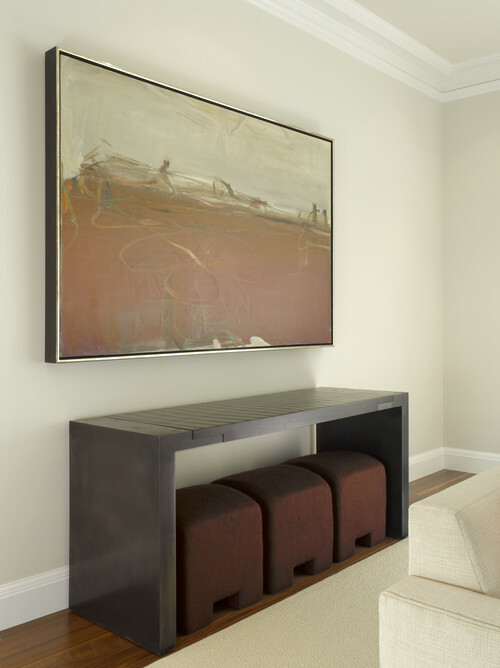 Take into account whether you will be sitting or standing when you view a piece. 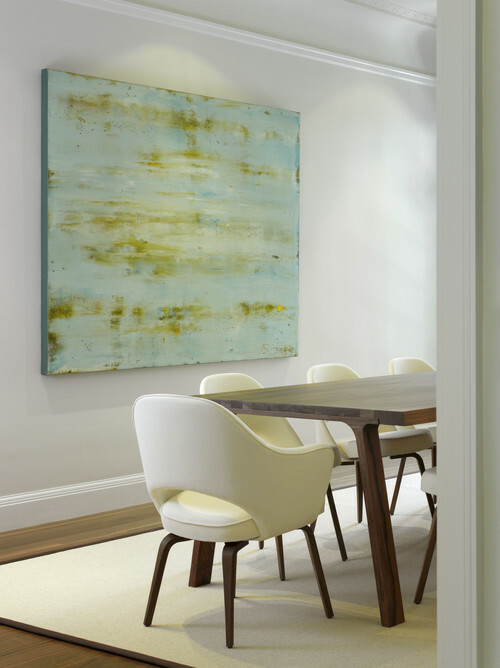 The painting below hangs a little lower because it’s in a dining room. In a different type of room, it might hang higher. 4) Create a gallery wall tied together by colors, theme or materials. Below we see two examples. In the first, taupe, beige and sepia tones come together to create a wall that feels very integrated. 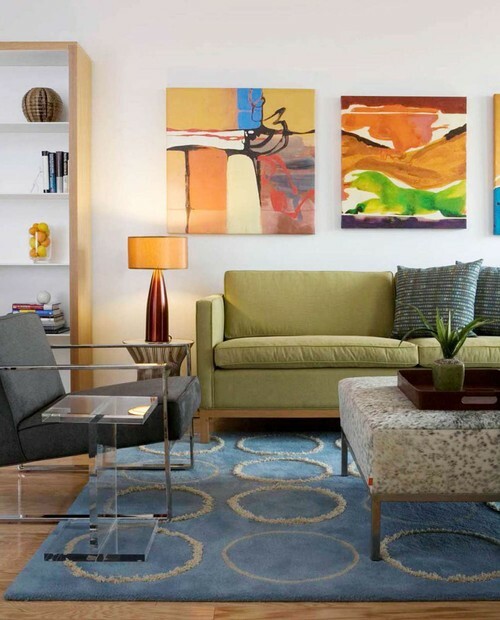 This owner has relied on less-expensive prints to fill out an art collection. 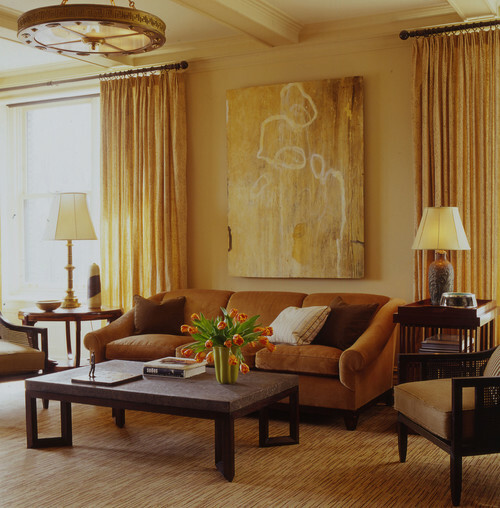 Contemporary Living Room by New York Interior Designer Thom Filicia Inc.
And in the gallery wall below, the collector has grouped a number of portraits of women for a quirky, curated feel. 5) Make art the inspiration for the entire room. In the room below, the deep browns and reds were used as a starting point to inform the rest of the room, to great success. This entry was posted on Tuesday, May 7th, 2013 by preynolds and is filed under How To, Tips, & Advice. You can follow any responses to this entry through the RSS 2.0 feed. You can leave a comment.